Research shows that 50% of pregnant women have back pain during pregnancy, and about 4% of babies are breech (head up in the womb instead of head down) (1). You’ve heard that chiropractic in pregnancy that can help back pain or help your baby turn into a head down position. But you’re wondering… Are chiropractic adjustments safe for pregnant women? The answer to the question Are chiropractic adjustments safe for pregnant women? is that chiropractic adjustments are safe and beneficial for the vast majority of pregnant women. There are some conditions in pregnancy that would require the chiropractor to change the way he or she does the adjustment. However, chiropractic adjustments in pregnancy should be avoided in very few cases. 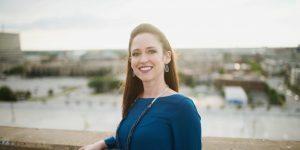 Chiropractic care would not be an option for women experiencing premature labor, vaginal bleeding, sudden pelvic pain, placental abruption, ectopic pregnancy, and moderate to severe toxemia (2). We’ve talked about when chiropractic adjustments wouldn’t be a safe option for a pregnant woman. Now let’s talk about how chiropractic care is safe and beneficial for pregnant women. In pregnancy, the hormone relaxin allows the ligaments that connect the bones in the body to loosen. This prepares the woman’s pelvis for birth and also loosens the ligaments of the spine. Thanks to relaxin, only gentle adjustments are needed to relieve pain and balance the pelvis. Special pillows and/or tables allow pregnant women to lie on their stomach for treatment. Many of my pregnant patients find the pillows very comfortable and tell me they wish they had some at home! The pillows cradle the woman’s belly so that there is no pressure on the baby during the face-down part of treatment. Very few adverse reactions to chiropractic adjustments in pregnancy have been reported. One article says that only five adverse events were reported between the years of 1978 and 2009 (3). Considering the millions of adjustments performed on pregnant women over the span of 31 years, five adverse events is a very, very small number. According to this review of studies on chiropractic in pregnancy, between 75-85% of women experienced relief of their low back pain. This article doesn’t talk about any other conditions that occur in pregnancy. Many pregnant women experience neck pain, upper back pain, or rib pain. Prenatal chiropractic patients report relief from these pains as well. 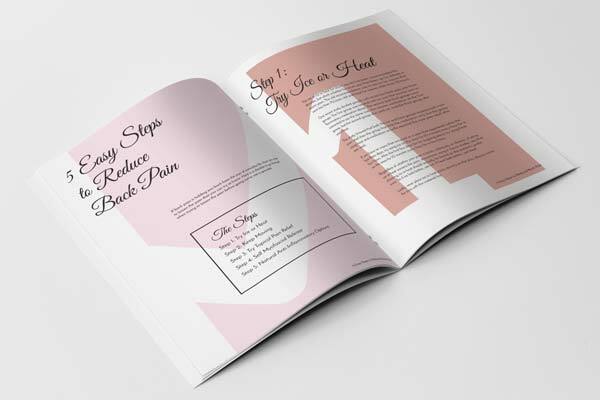 For some tips on how to relieve back pain in pregnancy at home, download my free guide. Any woman who has been pregnant knows that sleeping can become difficult for a few different reasons. First, the “baby bump” prevents women from sleeping on their stomach or back. Second, back pain, hip pain, or pubic symphasis dysfunction can make side-sleeping uncomfortable. Third, frequent urination…no need to say more on that point because every woman in the world who’s been pregnant gets it! Last, pregnancy hormones can cause insomnia or waking at night. No matter the cause, many of my pregnant patients say that they are able to sleep better since starting chiropractic care. In pregnancy, poor alignment of the pelvis causes the uterus to tilt. As the baby grows in the 3rd trimester, the misalignment of the pelvis and tilting of the uterus can cause problems in the baby’s positioning for birth. A less than ideal position can translate into a C-section for babies who are breech or when labor fails to progress. A mother may also experience stalling in labor or back labor when the baby’s position is not ideal. Webster technique is a chiropractic technique that may be used on anyone. This technique focuses on balancing the bones, muscles, and ligaments in the pelvis. When the pelvis is balanced, the baby is able to move into the best position for birth. Here’s a serious perk of chiropractic care in pregnancy for you. These statistics showed that first time mothers who received chiropractic care throughout their pregnancy had, on average, a 25% shorter labor than mothers who had no chiropractic care (4). In women who had given birth before, those who were under chiropractic care throughout their pregnancy had, on average, a 31% shorter labor! I hope this clears up any questions you might have about the safety of chiropractic adjustments for pregnant women. If you have any other questions, feel free to contact me directly!